It's hard to be an alternative party when so many are indoctrinated. All we can do is be devoted & make sacrifices. 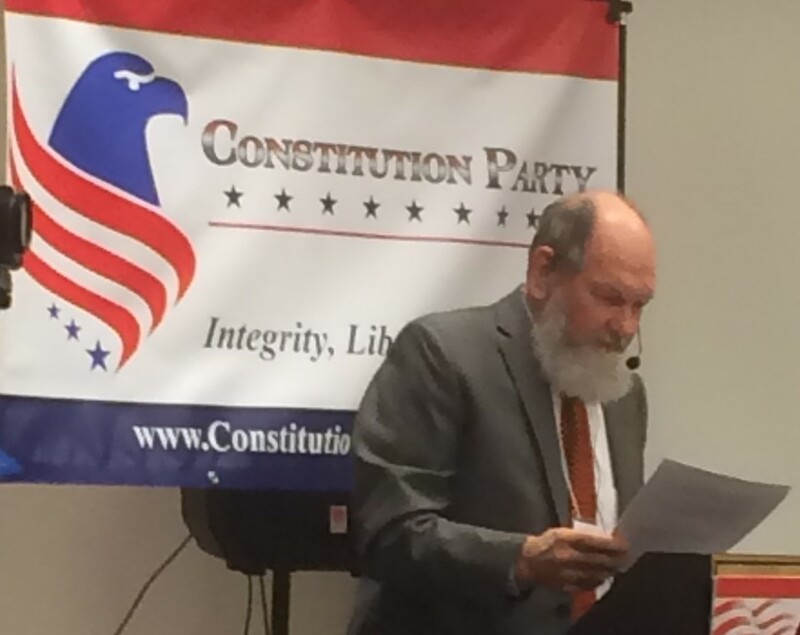 "When asked about the critical California ballot line, which was lost when the California American Independent Party disaffiliated from the Constitution Party in 2008, Jim said, "Since we lost the AIP in California, we lost a vehicle which we have not been able to get back. I believe we should make an effort in every state. I don't have a strategy for California now. We made that attempt to use the Independent Party line, but the California Secretary of State and the courts went against us. So, that ballot line was closed." Kudos to Mr. Clymer being up front about this. Too bad the leaders of the California IP & those of the California CP involved were not.